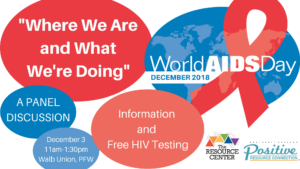 In recognition of World AIDS Day 2018, we will be hosting two events aimed to raise awareness about HIV, including HIV testing and HIV prevention. Click below for more info about both events. 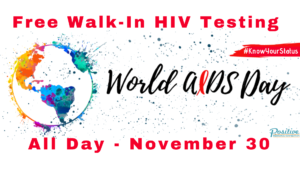 Click here for more info about Free Walk-In HIV Testing All Day.